This article has moved to a new location. DURING A MATCH, VOLLEYBALL PLAYERS ON AVERAGE JUMP 300 TIMES. 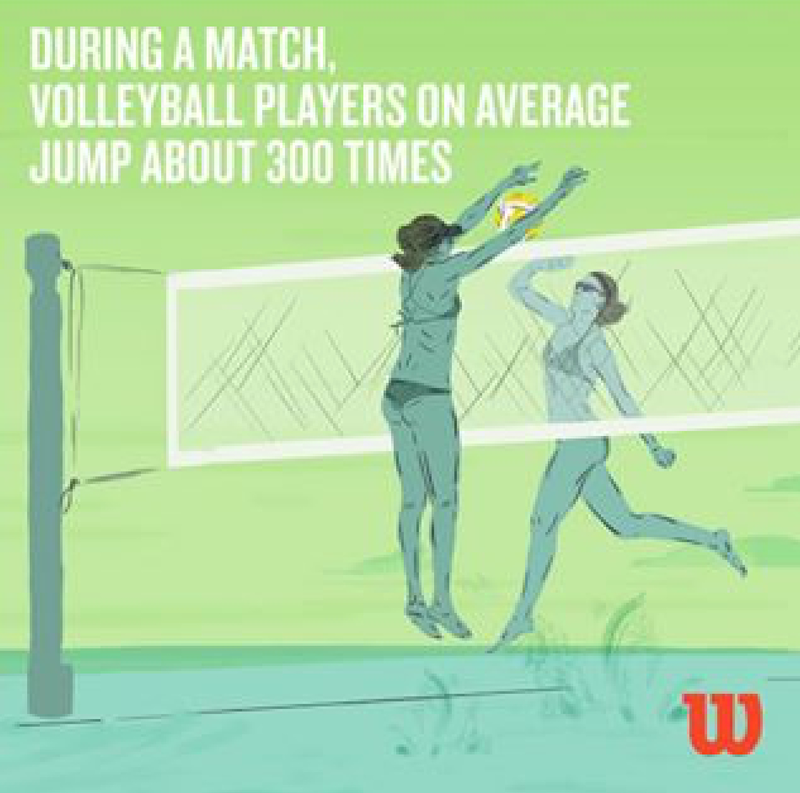 The ad is accompanied by an illustration that depicts female beach volleyball players, which implies that this number applies to beach volleyball specifically. This number appears unusually high, so I inquired as to the source of the number. We knew players jumped a lot during a match, but 300 times?! A beach ’baller jumps on average 300 times per game. In this article, the author Jonno Turner reports an average of 300 jumps per game – not per match as reported by the advertisement. 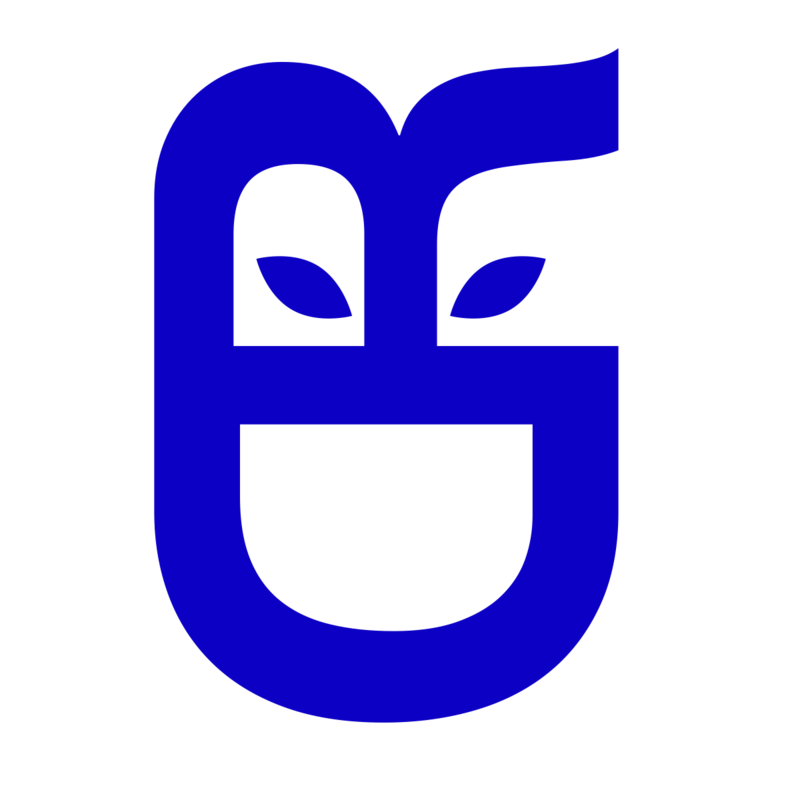 From Schoolgamesfinals.org – this is an article written to encourage people to watch indoor volleyball at the school games of Loughborough University. 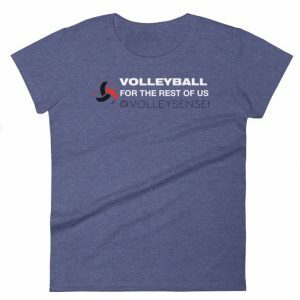 The stat is reported at 300 times per match, but with indoor volleyball, there are up to five games per match, unlike the three set maximum for beach volleyball. Most volleyball players jump about 300 times a match. In all likelihood, this last link is the main source of this number, and was continually misinterpreted by the other writers to fit their current narratives. I tracked 10-facts-about.com to a company in Sweden called NanOak Technologies, appears to be a “content farm” – they produce these sites and brands like 10-facts-about and Wisefacts – ostensibly pouring out random interesting “facts” to attract page views, and therefore sell advertising. There is no verifiable vetting of this information, but they are cherrypicked to most likely to appeal to confirmation bias. In effect, this is fake news – unvetted information that is twisted just to profit from the misinformation. Though Wilson may have citations, those sources are ultimately unreliable at best. Is there real data on the number of times beach volleyball athletes jump on average in a match? Much more peer reviewed data studies the indoor game, but there are some data on beach volleyball. Loren Anderson of Rise Volleyball Academy did some research on this during a discussion on the Facebook group Beach Volleyball Coaches. He tracked the all the jumps during the gold medal match at the FIVB 4-star beach tournament in the Hague between USA and Brazil. He counted 201 total jumps for all players, averaging 50 jumps per player over the match (~25 jumps per set). Loren also found a 2009 report from Slovenia (Turpin et al, 2009) that tracked the number and types of jumps during four matches of elite beach volleyball players during a tournament in 2006. They report a total average of 167.5 jumps per match (with a very large variance of 38.5), which comes down to about 40 jumps per player per match, or 20 per set. Perhaps most useful is that the FIVB report The Picture of the Game, last produced to statistically analyze 12 men’s and 12 women’s matches, and provides some pretty detailed stats and heat maps of defense. On page 37, it reports an average of 405.8 jumps per match (162.3 per set) for women, and 396.8 jumps per match (158.7 per set) for men. Dividing between the four athletes on the court, that comes down to ~40 jumps per set – which is consistent with the Turpin et al report. Granted, these are for elite volleyball players playing in high stakes tournaments, but it’s still nowhere near the 300 jumps per match average per player. In fact, only if you account for the jumping of all players on both teams in beach volleyball can you come close to this average number. Based on this research, the average number of jumps per player per match in beach volleyball seems to be between 40–80.